Crayola Washable Watercolors offer the best and brightest watercolor painting experience, without the mess! 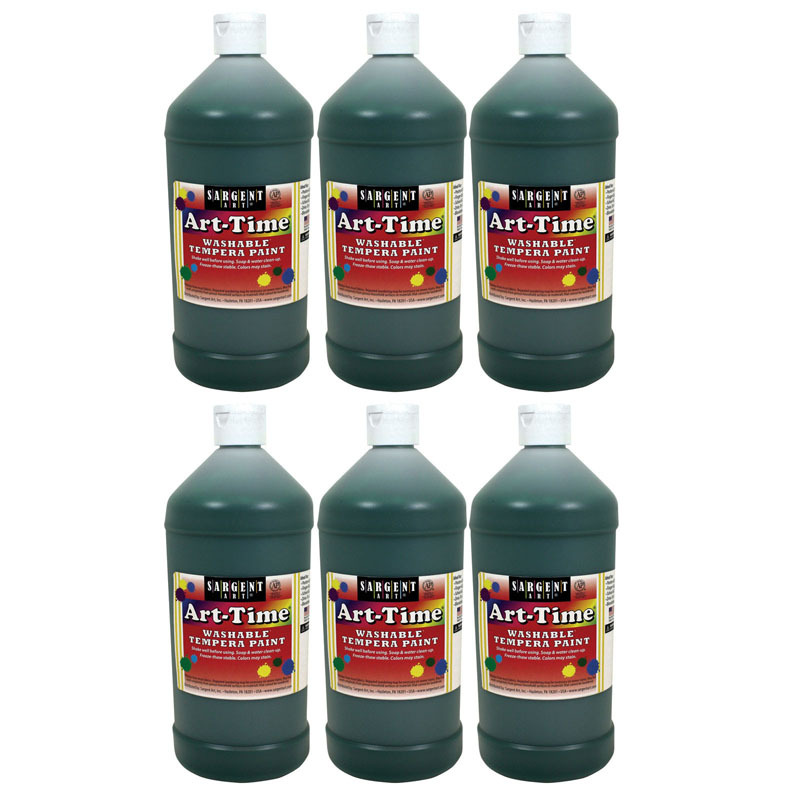 They come in a variety of vibrant colors that blend smoothly for more color-mixing possibilities. Washability you can trust™! 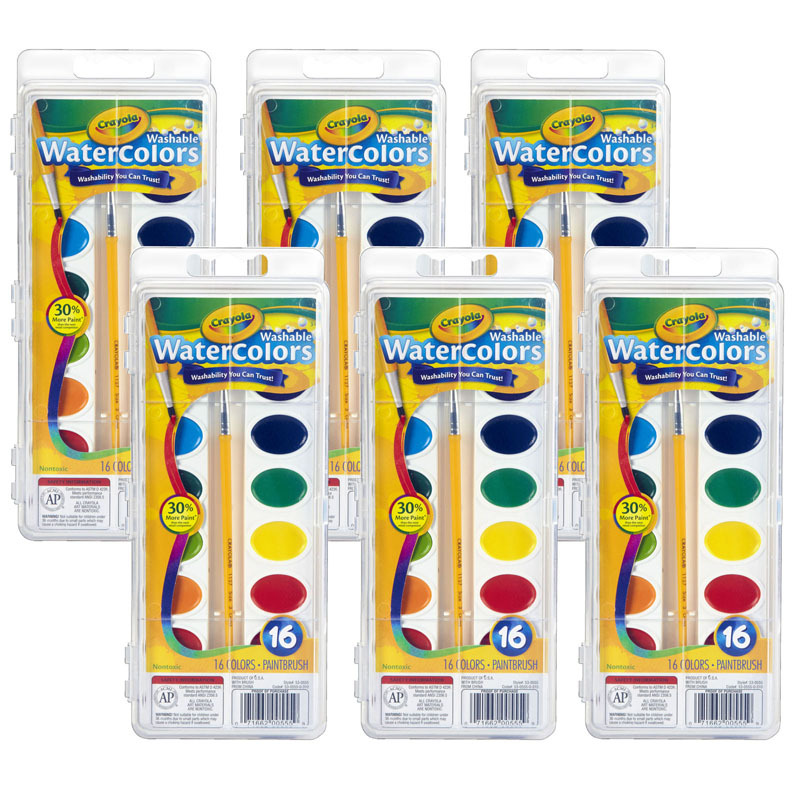 Each set includes 16 washable watercolors and a paintbrush in a peggable plastic case. Bundle includes 6 sets. 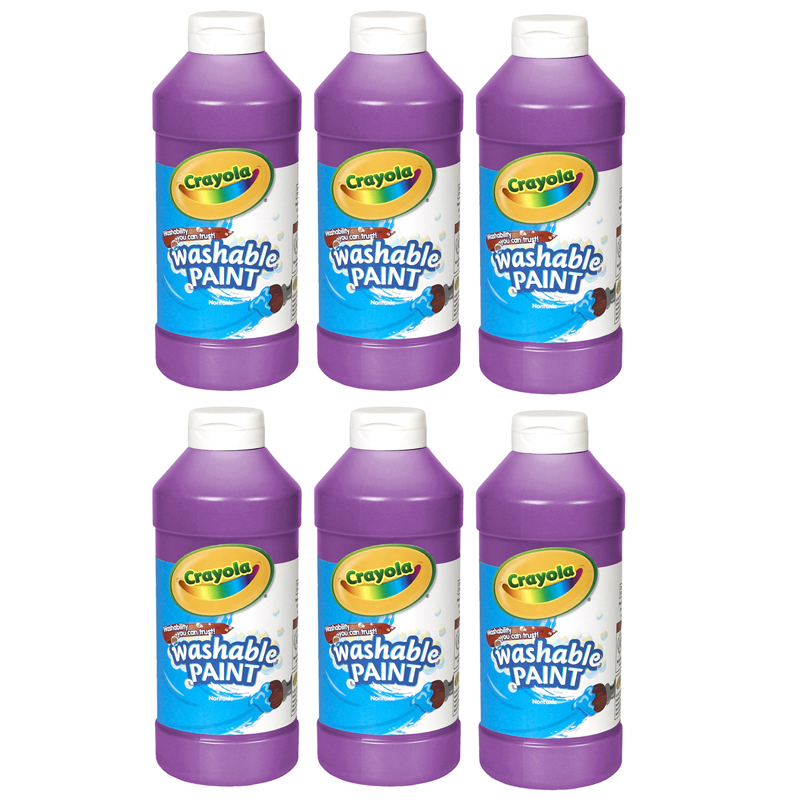 The (6 Ea) Crayola Washable Watercolor16 Semi Moist Ovl Pans 1 Brsh can be found in our Paint product category within the Arts & Crafts.